While not much to look at anymore, the building at 1752 Pitkin Street in Brownsville is one of three remaining Brooklyn structures built for the forgotten cause of “baths for all”. During the 19th and early 20th century the tenements of major cities lacked the plumbing infrastructure we consider to be universal today. In 1894 only 306 out of 255,000 tenements in New York City had bathtubs. So, one of the causes taken up during the progressive era was making public bathing facilities available for those who did not have them in their homes. By making public bathing facilities available to all, The Public Bath Movement hoped to improve the public health, dignity and upward mobility for those living in tenements. Most public baths in New York City were planned and designed based on recommendations from Dr. Simon Baruch and the Association for the Improvement of the Conditions of the Poor (A.I.C.P.). Dr. Baruch, also known as the "father of the public bath", was a professor of hydrotherapy at Columbia University, an outspoken advocate for public baths and the father of financier Bernard Baruch. Included in the A.I.C.P. recommendations were two standard lot sizes, a preference for "rain baths" (showers) over bathtubs and greater capacity for male bathers. The A.I.C.P. architects Cady, Berg & See provided two model plans, the "Type A" for small city lots and "Type B" for larger lots. Designed by architect A.S. Headman, the Pitkin Avenue Public Bath was built in 1903 at a cost of $84,456. 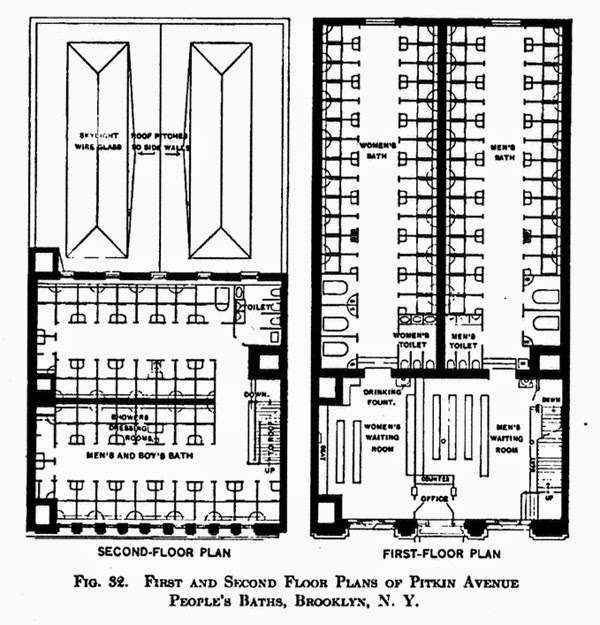 The floor plan (shown above) was based on the Type B model plan for 50’x100’ lots and is almost identical to the plan for the Public Bath on Huron Street in Greenpoint. Also similar to the Public Bath on Huron Street, the building’s façade has been heavily modified. 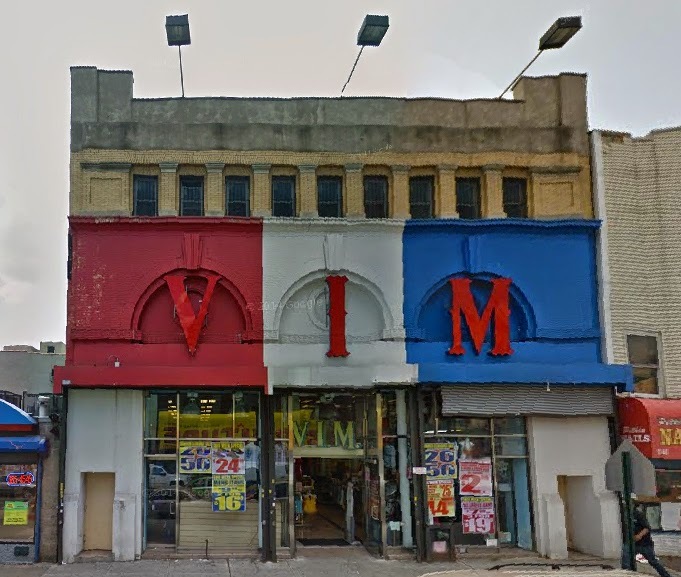 The ground floor has been partially demolished and retro fitted with a glass storefront, the cornice has been removed and the building has been given a veneer of cheap red, white and blue paint. 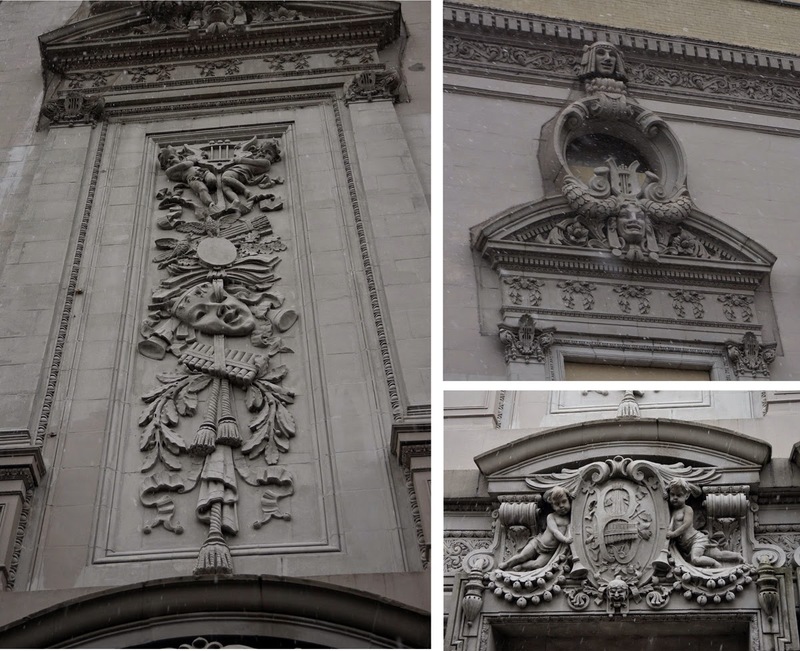 The original structure was designed to be “imposing in appearance with an architectural style recalling ancient Roman public baths with classical pilasters, columns, arches and cornices”. 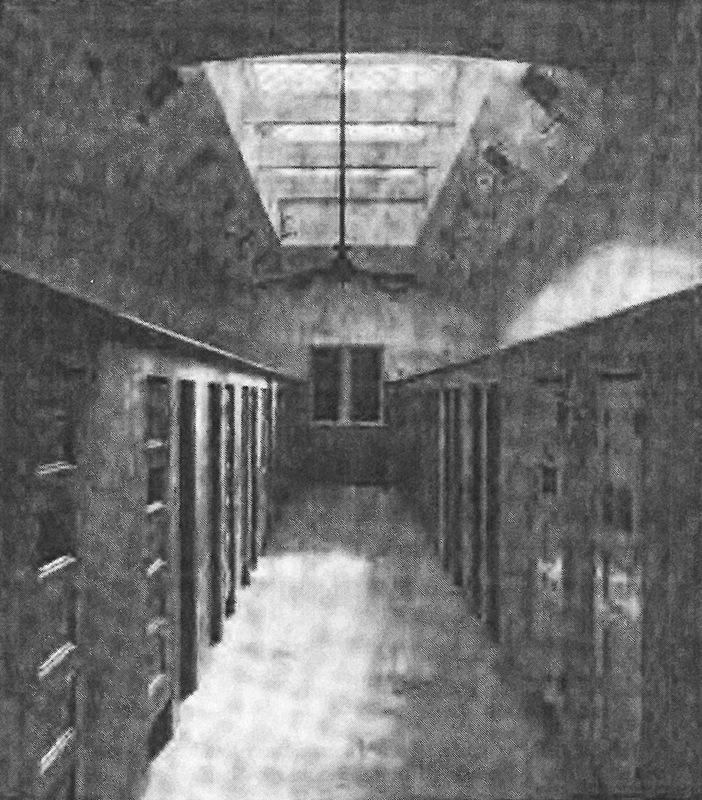 The layout of the bath included a separate entrance for men and woman with a booth in the middle, which offered soap and towel rentals; the second floor was for boys. “The women’s side contained 28 rain baths and three bathtubs; the men’s side 28 rain baths and two tubs and boys’ floor 38 rain baths and one tub”. As a result of the tenement house law being passed in 1901 the need for public baths in Brooklyn was undermined from the beginning. While the law only required a toilet be provided in each flat, many developers also included a bathtub as well. This resulted in the owners of older tenement houses retrofitting toilets and bathtubs into their apartments lest they risk losing their tenants to the newer buildings. Eventually, laws were passed requiring all apartments to have bathing facilities and by mid-century, public bath use had declined significantly. With dwindling patronage, the Pitkin Avenue Public Bath was closed in 1949 amid city cutbacks. 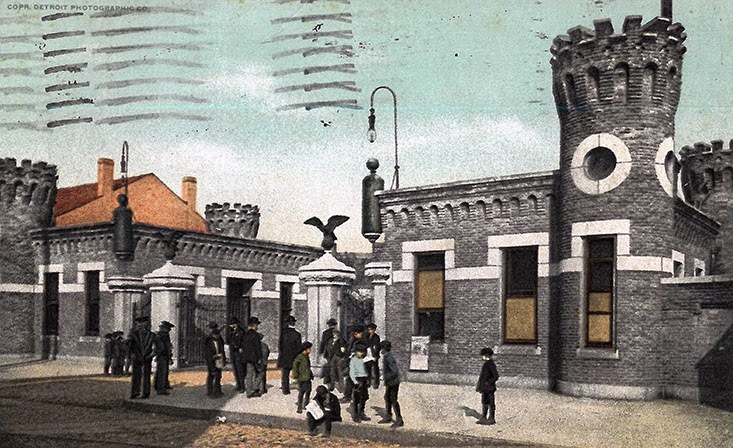 There used to be 25 public baths in New York city, seven of which were located in Brooklyn. With the exception of Public Bath No. 7, the public baths of Brooklyn were designed by either architect Axel S. Hedman or Louis A. Voss. Below is a list that includes all of Brooklyn's public baths. “Two Boro Public Baths Closed to Save 150 Gs” Brooklyn Daily Eagle. 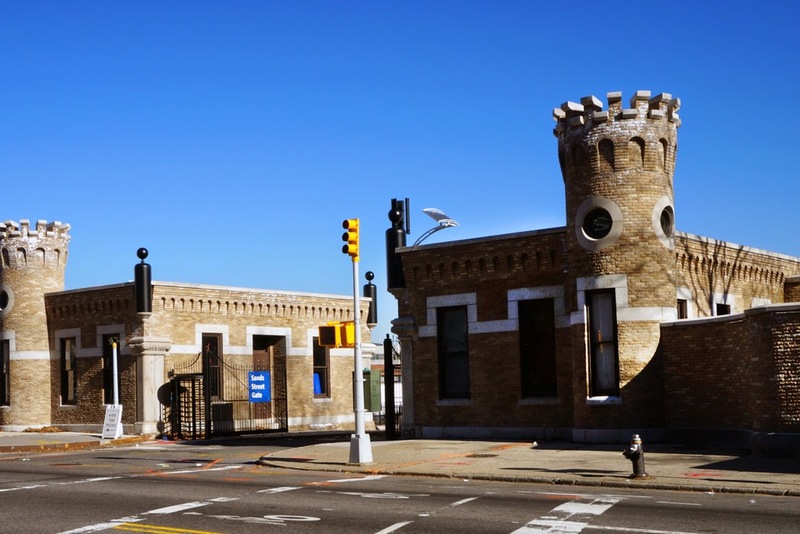 The Brooklyn Navy Yard's medieval style Sands Street Gatehouses were built in 1896. There is not an architect of record for the gatehouses but they were likely designed in-house by one of the Navy's shop architects. 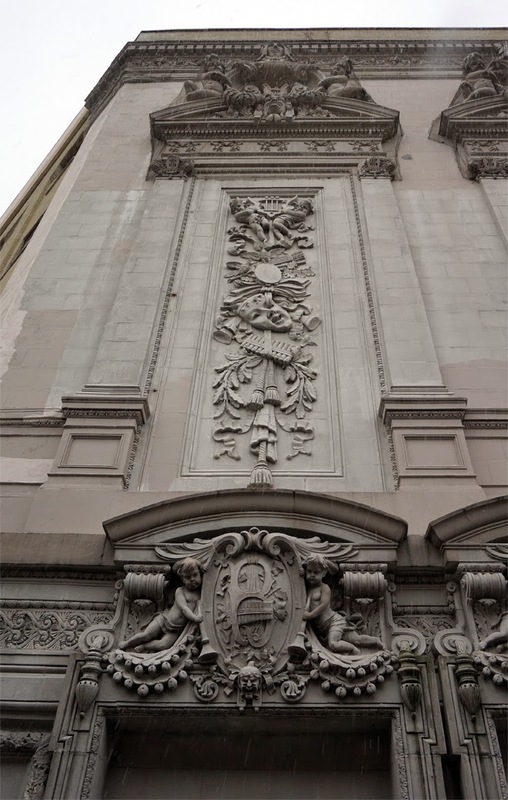 The original, large four story design published in 1893 was hailed as "one of the handsomest buildings of its type in the country" by the New York Herald but shunned by the architectural establishment which mocked the design and the Navy's shop architects. However, the design critique become irrelevant when the construction budget was slashed from $50,000 to $20,000 and the building was reduced in scale to the existing miniature brick and marble fortress. Sometime after the completion of the gatehouses they were enlarged with second and third floor additions and the turrets were "beheaded". 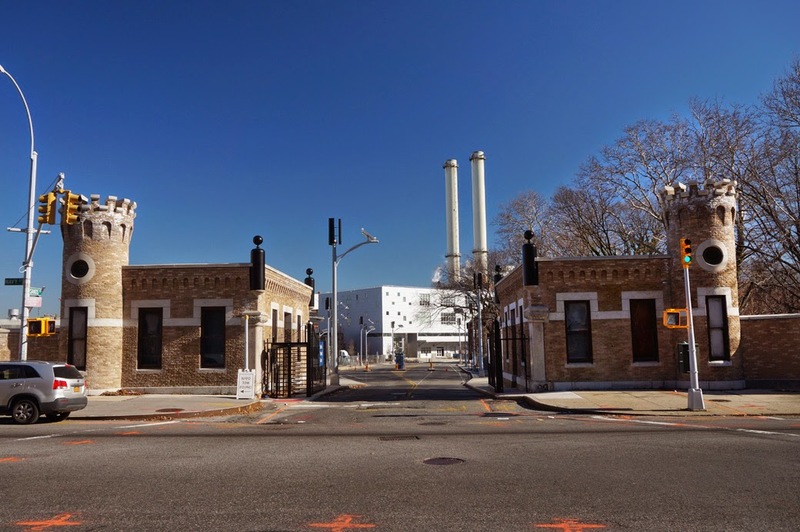 However, in 2013 the portion of the Sands Street Gatehouses that front Navy Street were restored to their original state as part of the larger Brooklyn Navy Yard renovation. To date the Navy Yard renovations have included solar lighting, permeable pavement parking lots, new storm sewers, bio-swales, street repaving, bike lanes and historic building restoration. 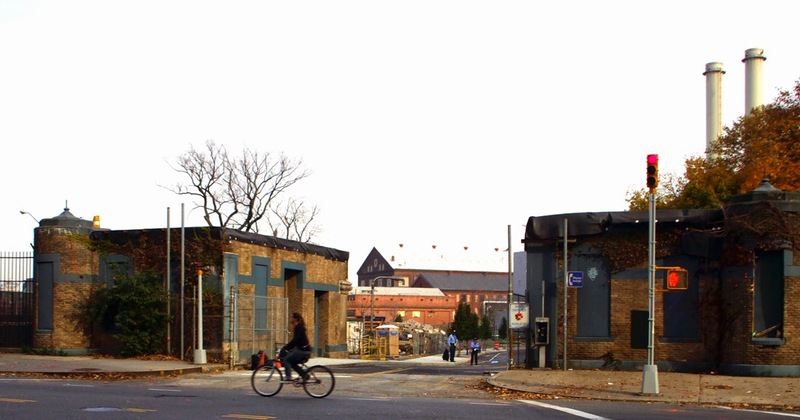 The Brooklyn Navy Yard's Sands Street gatehouses are located on the western side of the yard in Vinegar Hill. Similar to the neighborhood around the Navy Yard's main entrance, the area was once the site of tattoo parlors, taverns and other establishments of ill repute. The areas sordid reputation led to the prohibition of Navy personnel from patronizing the area. Today, the land adjacent to the Sands Street entrance is dominated by Farragut Housing projects. If you are a car owner and you have seen the Brooklyn Navy Yard's Sands Street Gatehouses it was probably on a not so great day for you. The first time I laid eyes on the castle like structures I was there to get my car out of the Brooklyn NYPD Car Pound. $200+ dollars and a $110 ticket later my car was free and I was in a bad mood. Regardless of the reason, if you find yourself in the neighborhood, I recommend a visit to the Commandant's House, a Federalist style mansion that "outshines Gracie Mansion". It is a stunning site, especially given its location. 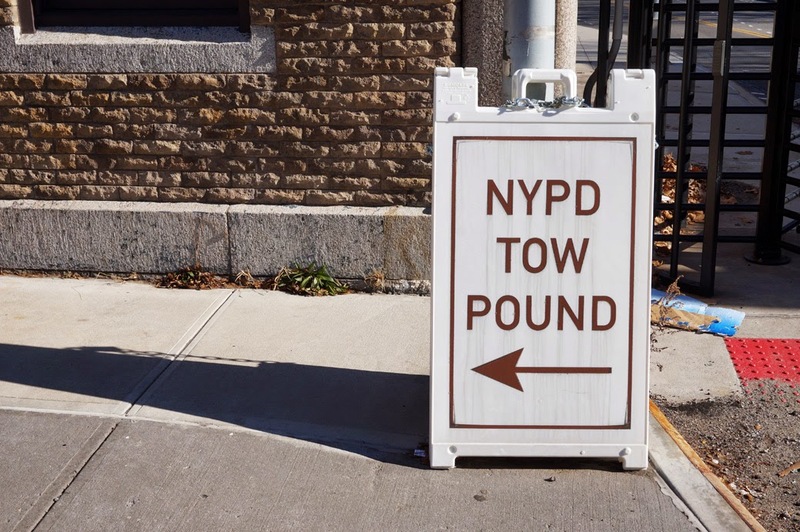 To get there, follow Navy Street north until shortly after it turns into Hudson Avenue and turn right onto Evans Street. You will find the residence at the end of Evans Street. “There may be finer views than this in the world, but I don’t believe it.” President Abraham Lincoln at the crest of Brooklyn Heights, 1864. Designed by Clarke & Rapuano architects, the Brooklyn Heights Promenade was built in 1951 as part of the BQE transportation project. The promenade is cantilevered over the BQE and runs almost the entire length of Brooklyn Heights extending 1,826 feet from Remsen Street to Orange Street. On one side are the gardens and the other a spectacular view of the Manhattan skyline, as well as the Statue of Liberty, Governor’s Island and Staten Island. 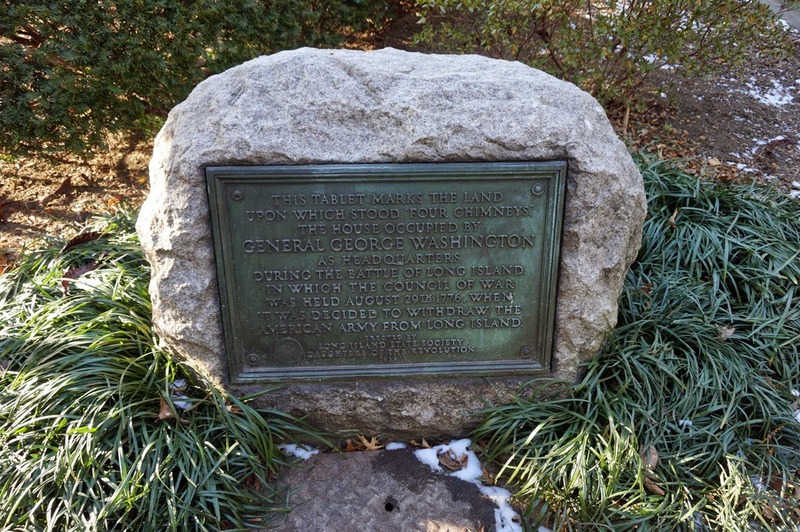 Within the promenade are 3 monuments including the flagpole at the terminus of Montague Street, a stone marking where the “Four Chimneys” House once stood and a granite Thunderbird located in Garden number 5 designed and built by Park’s Department employees. 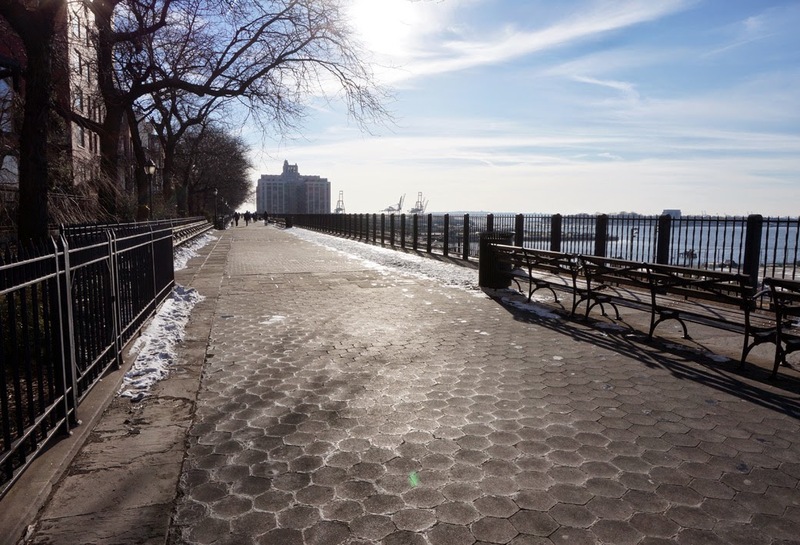 The original idea for a Brooklyn Heights promenade dates back to an 1827 proposal by Hezekiah Pierrepont. 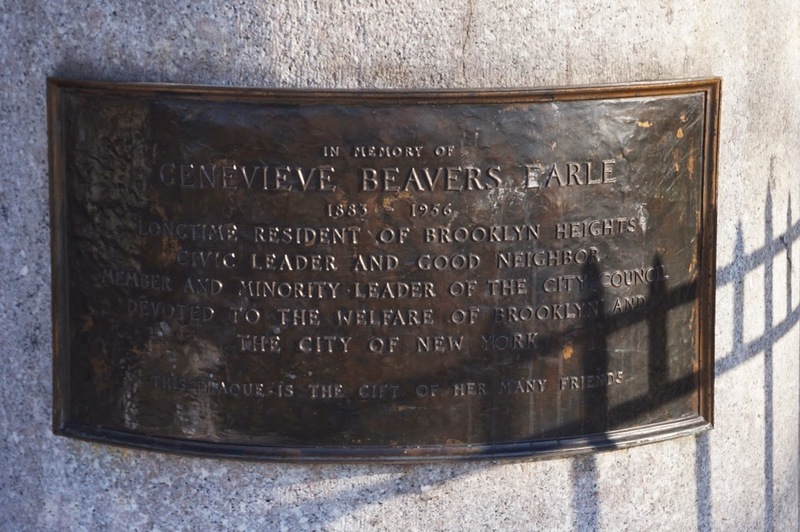 The objective of Pierrepont’s proposed promenade was to provide a public space for Brooklyn’s elite to see and be seen. However, due to the opposition from one of Pierrepont’s friends and neighbors he decided not to pursue his promenade. 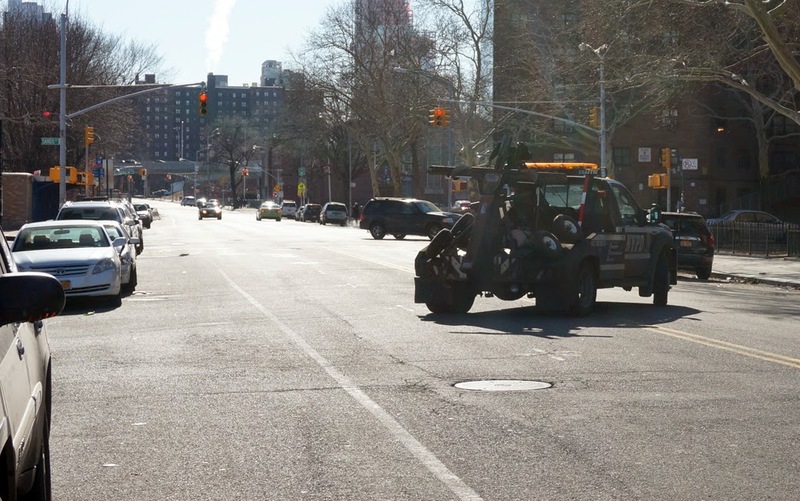 It wasn’t until over 100 years later that the idea of a promenade in Brooklyn Heights would be revived when the city began planning the Brooklyn Heights segment of the Brooklyn Queens Expressway (BQE). The original plan for the Brooklyn Heights portion of the BQE proposed by Robert Moses and the New York City Planning Commission was that the expressway traverse the center of the community along Hicks Street; however that plan was scrapped in favor of a route closer to New York Harbor. The alternate route would have required the gardens between the expressway and homes of Pierrepont Place and Columbia Heights be demolished. One of the residents who’s garden would have been destroyed by the highway proposed that a two level highway be built with a “cover” to preserve the gardens. 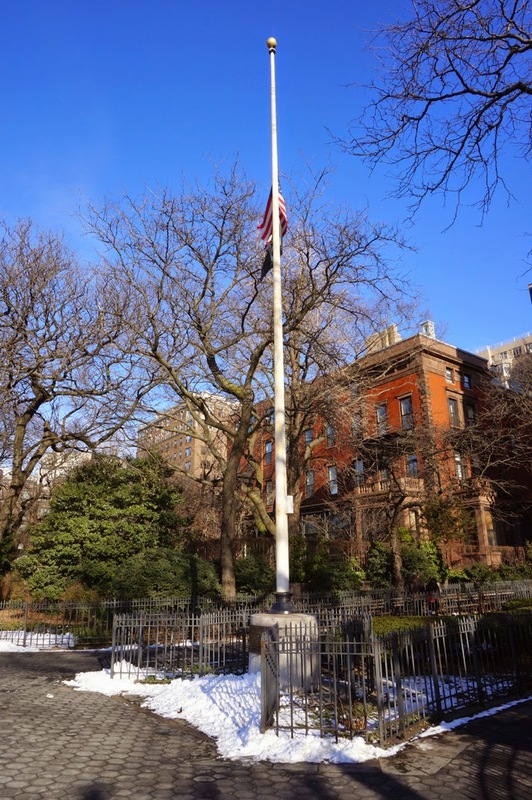 So, the Brooklyn Heights Association proposed the inclusion of a promenade as a means to preserve the gardens. Although Robert Moses was not known for being accommodating, the promenade idea piqued his interest and it was included in the transportation project. The promenade is one of the few concessions made by Moses to mitigate the impact of any of his transportation projects. 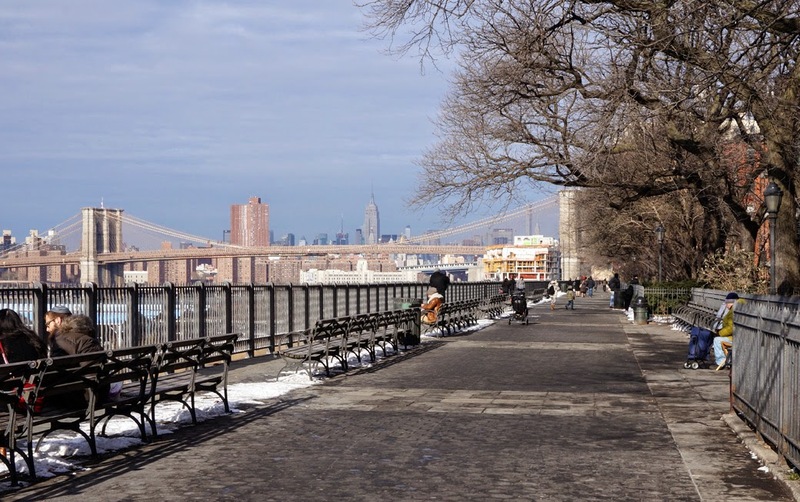 The Brooklyn Heights Promenade is one of the borough's hidden gems and is considered “one of the most inspired pieces of urban design of its period in New York” In addition, it was once hailed as an architectural masterpiece by renowned urban historian and urban design critic Lewis Mumford. Until recently Brooklyn Heights was one of the few great Brooklyn neighborhood spots for taking in the Manhattan skyline. Now other waterfront parks and esplanades exist in Williamsburg and Greenpoint and more are on the way. 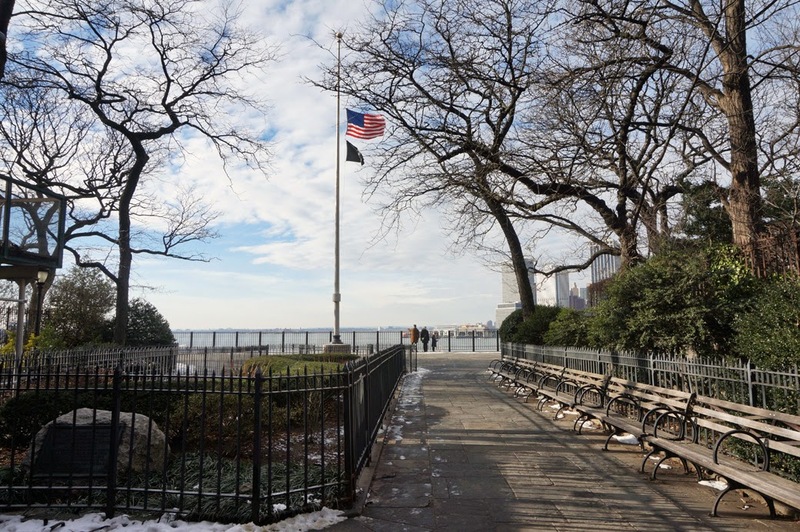 Brooklyn Heights Promenade New York City Department of Parks and Recreation online. 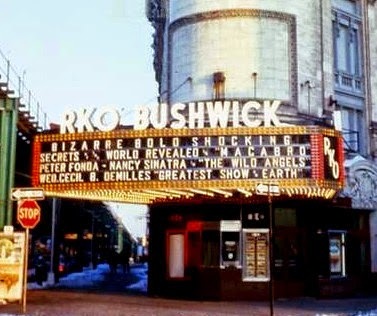 The RKO Bushwick Theatre was once Brooklyn's largest and most magnificent vaudeville theatre with seating for 2,500 patrons. The venue was designed in Beaux-Arts and Greek Revival styles by prolific theatre architect William H. McElfatrick (1854-1922) with interior decorator Louis Kuhn Studio. The exterior building materials included brick, limestone and glazed terra-cotta. The main entrance fronting Broadway was grand, illuminated by powerful lights on 28-foot high ornamental columns. It is difficult to imagine today, but the neighborhood must have been awash in light. 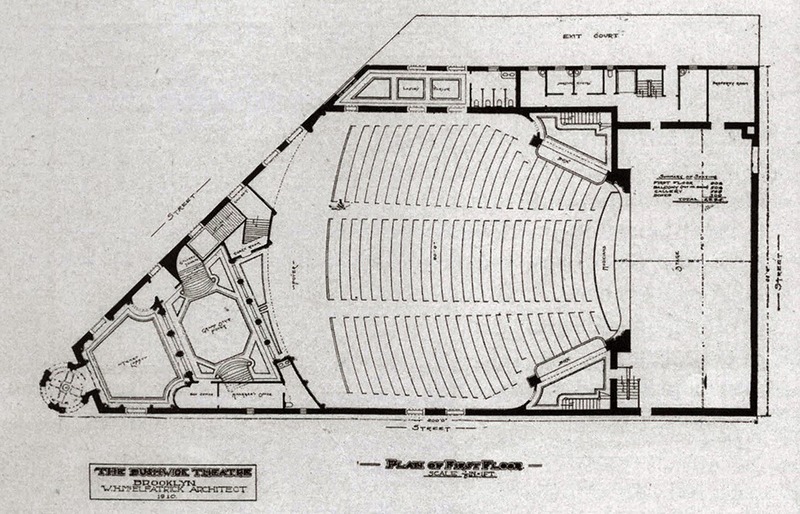 At the time of its construction the Bushwick Theatre had the largest allotment of space for theatre foyer, lobby and lounging rooms. Also unique to the theatre’s design was the animal room. The animal room was an area underneath the stage built to house the many animal acts that were once included in vaudeville shows. Its design was sufficient in size to accommodate dogs, monkeys, horses, elephants and other beasts. 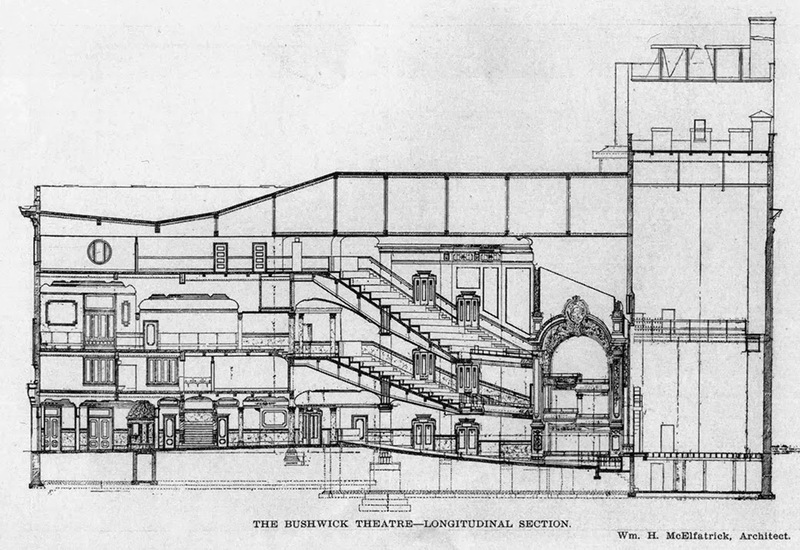 The main theater consisted of a large stage, lower floor, gallery and balcony with mezzanine boxes at the front. The theater also featured a Wurlitzer Opus 1390 organ, as well as mural painting by Arthur Thomas. Construction was completed in 1911 at a cost of $225,000 and the theatre opened on September 11, 1911. 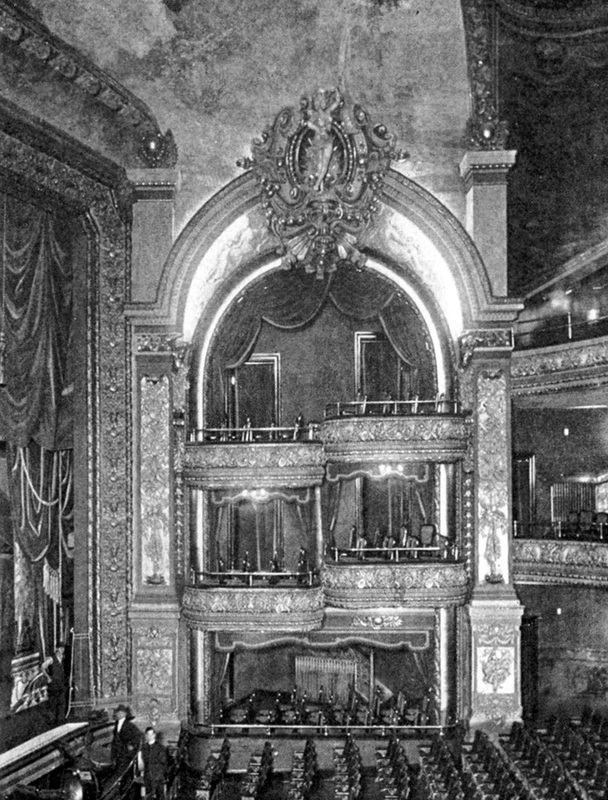 Later alterations in 1926 and 1929 were made by architect Thomas W. Lamb and in 1930 a screen was added for motion pictures. In the mid-thirties live shows were dropped in favor of movies. 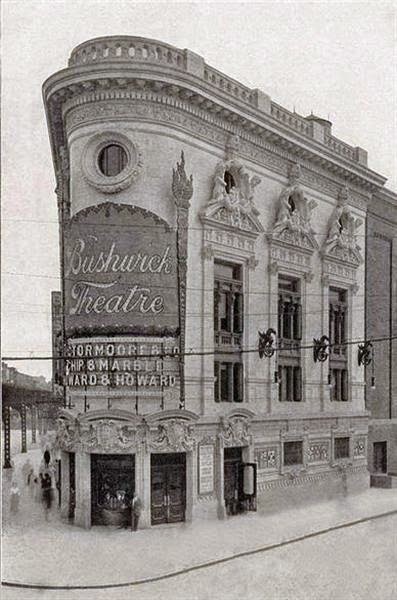 The Bushwick Theatre was commissioned by Percy G. Williams, a turn of the century vaudeville mogul. A leading force in vaudeville, Percy owned many New York theaters including: Brooklyn Music Hall, the Novelty, Orpheum, and the Greenpoint Theatre in Brooklyn and the Circle, Alhambra, and Colonial in Manhattan. When Williams' health began to fail him he sold his chain of theaters to his leading competitor, Keith-Albee (later R.K.O), for a sizable profit. Percy Williams then retired to his estate in Islip, Long Island. Williams died in 1923 and willed his fortune to the actors that helped make him make it. The Bushwick Theater was once a neighborhood institution. 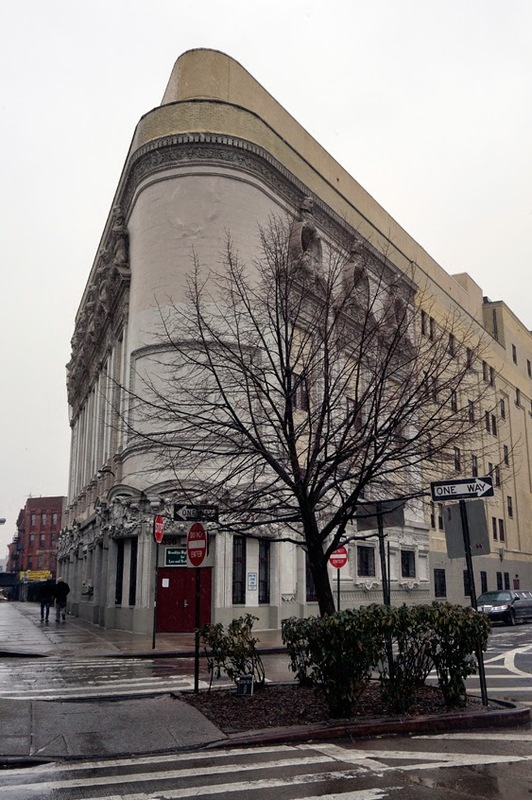 In its heyday, during the 1920s and 30s the Bushwick Theater featured the biggest vaudeville acts and headlined stars like Ethel Barrymore and Lily Langtry. During WWI the theatre hosted Red Cross and Liberty Bond drives. In July of 1926 the theater sponsored a swimsuit giveaway to neighborhood children. Later, in 1947 the theater hosted a beauty contest with the winner to be crowned “Miss Bushwick”. Nothing lasts forever and in spite of the theatre's earlier success and neighborhood reputation, RKO Bushwick Theater fell on hard times. Like many inner city neighborhoods in New York and across the country, the once fashionable neighborhood of Bushwick faced a rapid decline as people retreated from urban areas for the suburbs. It was a midst this backdrop of urban abandonment that ticket sales slumped and the theatre was closed in 1969. By 1970 the theatre had been converted into a church known as Pilgrim Baptist Cathedral. After being vandalized during the 1970 blackout the church abandoned the building and the structure slowly decayed. The balustraded parapet wall, large cherubs over the window pediments and theatre marque have all been removed from the facade. 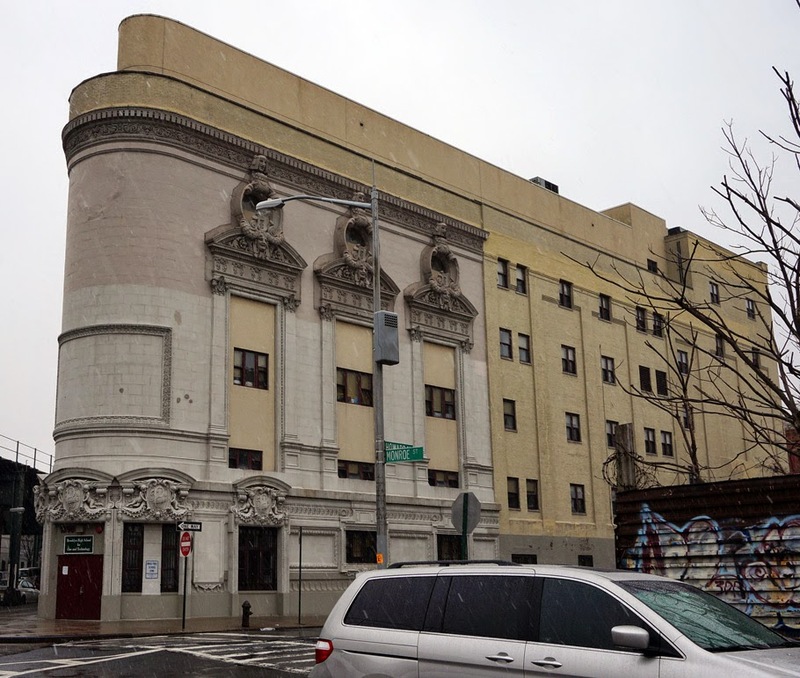 However, today, the façade is all that remains of the RKO Bushwick Theatre; it has been preserved as part of the Acorn High School for Justice building constructed in 2004. Backmann, Kevin & Gabel, William “RKO Bushwick Theatre” Cinema Treasures online.